Why peep at leaves from below when you can adventure among them above? This fall, kids can climb, clip and zip to experience Indiana’s fiery fall colors. 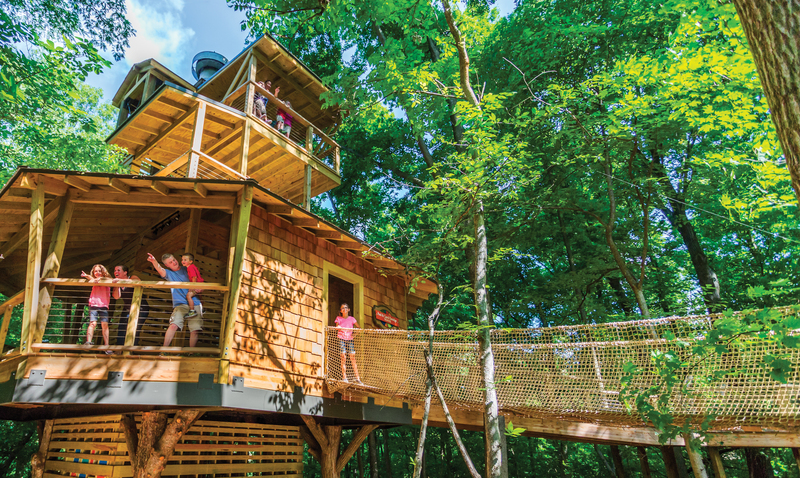 In Hamilton County, towering tree houses and crafty obstacle courses make for a “tree traversing” experience that will “leaf” kids feeling like forest explorers. 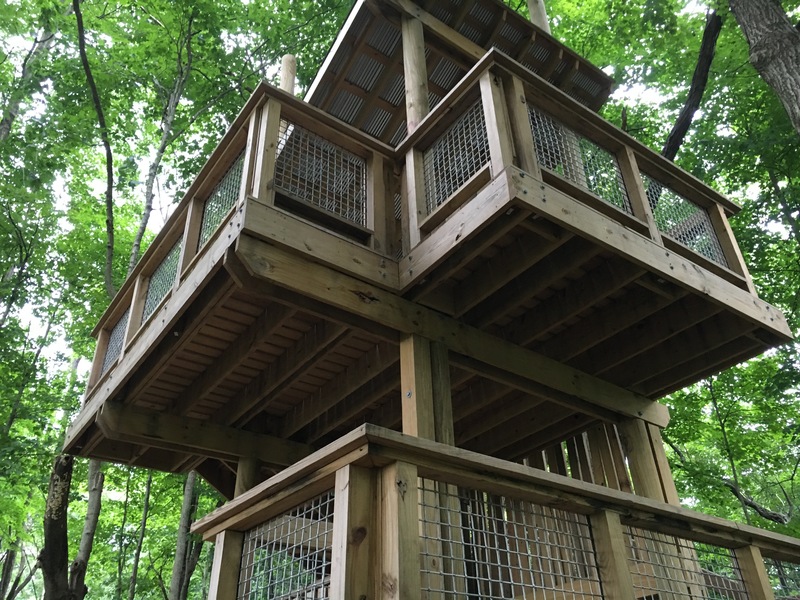 Conner Prairie’s newest experience area takes kids into a tree house of Swiss Family Robinson proportions. The 6,000-square-foot exhibit, featuring the four-story tree house as the centerpiece, aims to educate families on the bounty of Indiana’s natural resources. After viewing the wooded Nature Walk trail and White River vista from above, kids can dig in a re-created archaeology site, build a log cabin like Hoosiers from the past, create art and fill the forest with music with natural materials. Trail systems are no longer confined to ground level at Strawtown Koteewi Park! When the leaves turn golden, kids over the age of 7 can clip in and take to the trees atop five obstacle courses at varying heights. After completing a course, whiz through flashes of reds and oranges on ziplines strung throughout the park. Unlike other courses of its kind, the Koteewi Aerial Adventure experience was custom built to the existing forestry, meaning no foreign poles or posts are present in the design. Forget the playground – Flat Fork Creek Park encourages kids to use their explorer sensibilities with three tree houses scattered along a wooded trail with names like Tulip Tower and Rosebud Retreat. Climb the 60-foot “mountain” (or sledding hill, depending on the season) for more aerial views of fall foliage. Forget the scenic drive. Leave leaf peeping behind. Tree traversing is the best way to experience fall colors this autumn! 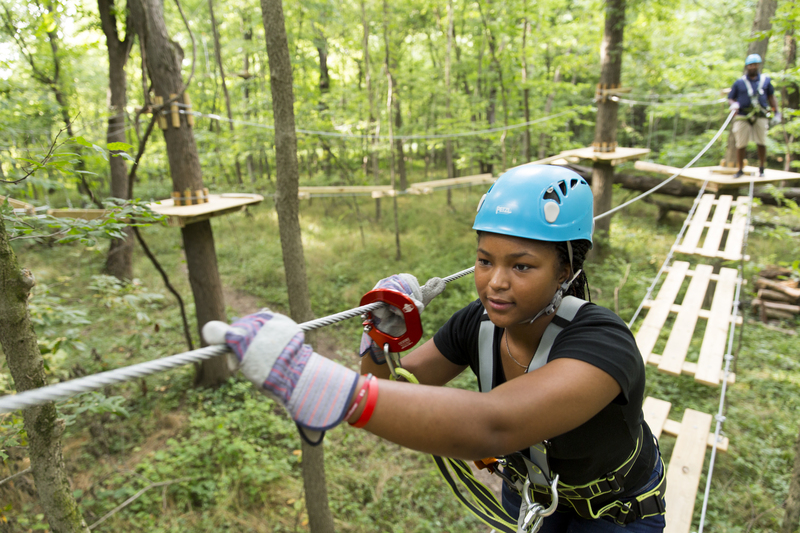 Visit one of these treetop experiences and tag us in your adventures on social media using @VisitHamiltonCo and #VisitHC.